If people are talking about you and you want to manage what they are saying, a press officer is just what you need. I will identify stories and opportunities, prepare press releases and statements and handle calls from the media to free you up to concentrate on running your business. 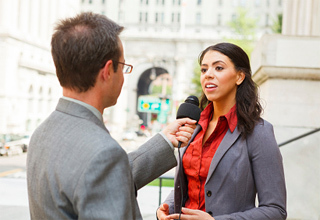 I will work closely with you to agree statements and lines to take to send to the media and can also offer media training (link to training page) to prepare you for radio and television interviews. I can also identify, interview and write up case studies and match them to opportunities that arise, organise photography to show off your products or tell your story and prepare all the materials the media will need to write about you.